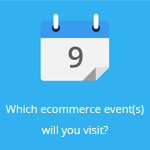 September 2, 2013 by Ecommerce News. About Consumer behavior with tags Europe, Germany, The United Kingdom. 3499 views. August 28, 2013 by Ecommerce News. About Cross-border with tags Germany, Switzerland. 11212 views. August 21, 2013 by Ecommerce News. About Cross-border, Logistics with tags Germany, Russia. 986 views. August 21, 2013 by Ecommerce News. About Cross-border with tags Germany. 3448 views. August 19, 2013 by Ecommerce News. About Acquisition, Cross-border with tags Czech Republic. 2730 views. August 14, 2013 by Ecommerce News. 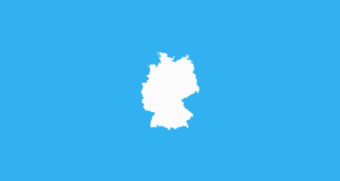 About Startups with tags Germany. 3254 views. August 9, 2013 by Ecommerce News. About Laws and regulations with tags Belgium. 2285 views. August 8, 2013 by Ecommerce News. About Cross-border with tags Austria, Belgium, Denmark, Finland, France, Germany, Ireland, Norway, Sweden, Switzerland, The Netherlands, The United Kingdom. 2641 views. August 5, 2013 by Ecommerce News. About Cross-border, Payments with tags The Netherlands. 4477 views. August 1, 2013 by Ecommerce News. About Online store with tags Germany. 2439 views. July 26, 2013 by Ecommerce News. About Cross-border with tags Germany, The United Kingdom. 2814 views. July 18, 2013 by Ecommerce News. About Cross-border, Online store with tags Sweden. 2552 views. July 17, 2013 by Ecommerce News. About Payments with tags Germany. 3100 views.